"140. 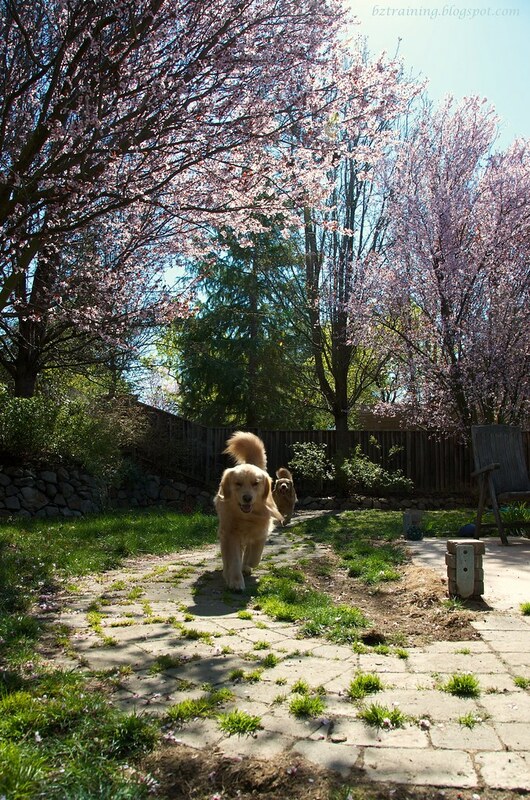 Changing Seasons - Show us how the seasons are changing where you and your dog live today!" Our Daily Challenge - Mar 19, 2012 - "Do Over Again"
What a difference two weeks makes! 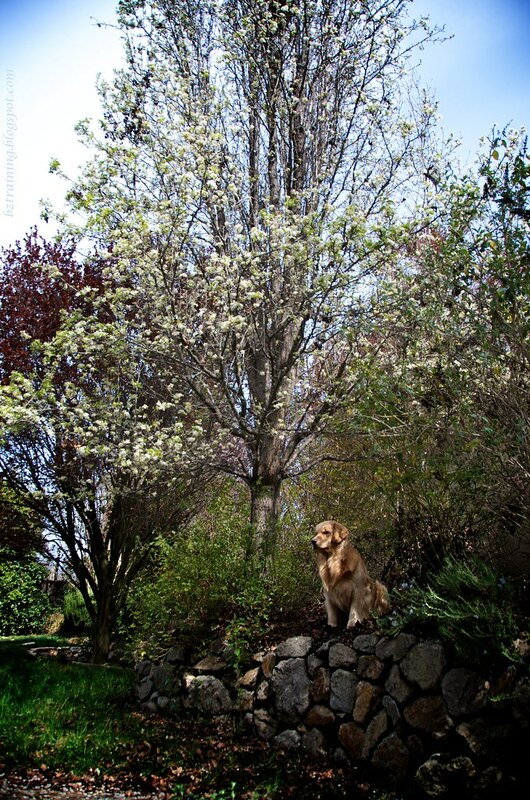 Henry is sitting under the white-flowering pear, which is just starting to bloom, although after all the wind we've had it wouldn't surprise me if the show is meagre this year. Zachary is standing at my feet, trying to get me to throw the Lacrosse Ball. 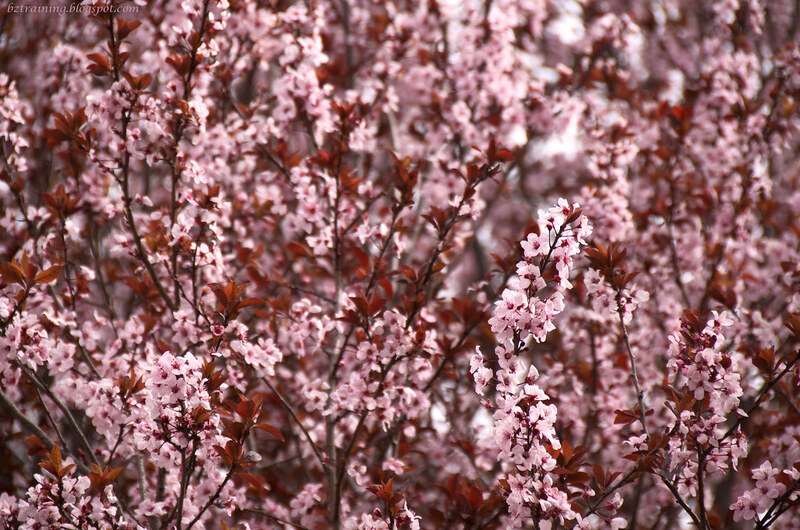 ... the purple-leaved flowering plums were just starting to bloom. ... saw them near their peak. ... and they were still going strong. Now there's hardly a pink flower left. Did I mention that the Dandelions are starting to show? 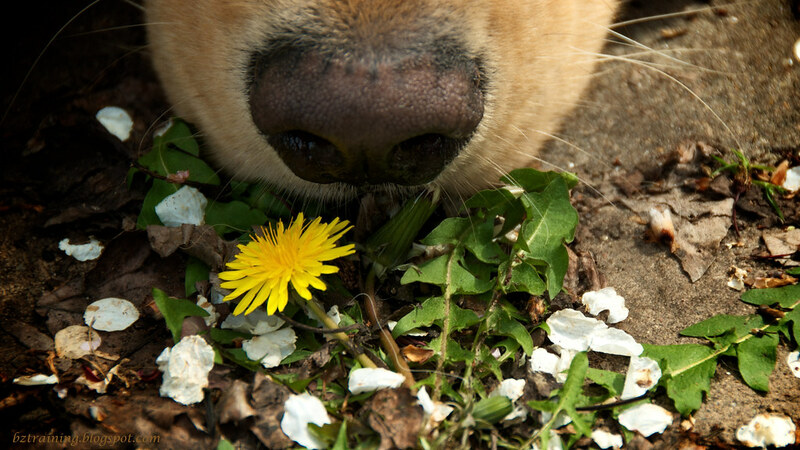 love that black nose taking a sniff at the dandelion! that march 2 photo is gorgeous ! I could get lost in your back yard! 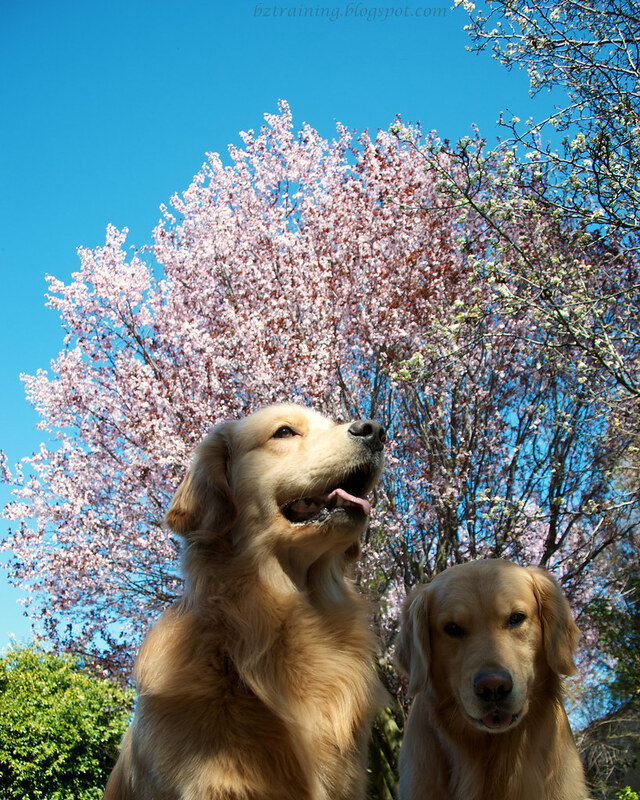 I love all your flowering trees. I really hope that one day we can have one somewhere here in our yard! I love the current shot, though. It's just so perfect! 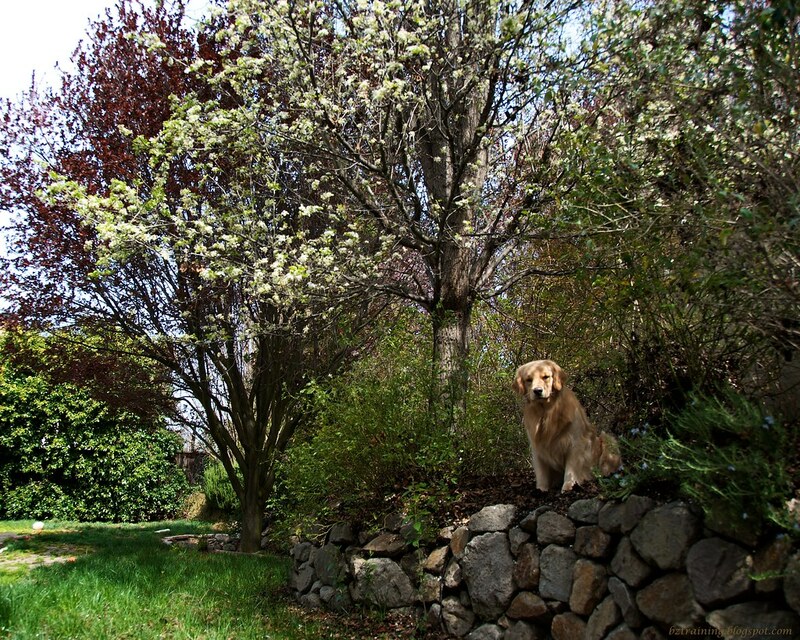 The flower shot is adorable, but the fence shot is majestic.